After living in San Francisco for more than 10 years, I've found so many things to love. I enjoy its beautiful street art, free attractions and the number of amazing places to eat. Every day in the city is a unique experience, which is why my love for SF grows each day. Here are the ten things I love most about San Francisco. Many districts throughout San Francisco encourage street art. 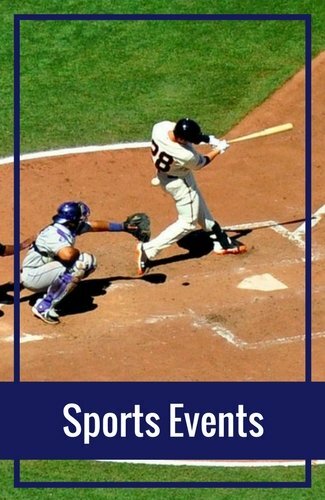 It is one of the things that makes SF unique. These works of art range from memorial murals to stories about SF's history. You will find the largest concentration of street murals in the Mission District. Two alleyways in this district, Clarion and Balmy Streets, house more than a dozen each in just a one-block stretch. In addition to SF's street art, you will also find murals, frescos and mosaics in dozens of buildings and attractions. Coit Tower, The Rincon Center and The Beach Chalet all feature a large number of murals on their walls. 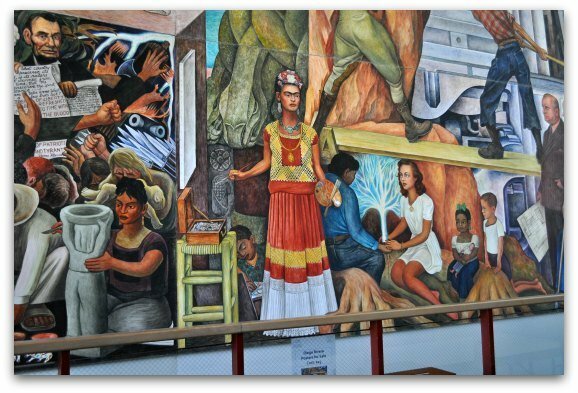 The famous Mexican fresco artist Diego Rivera also left his mark here. You can visit his three colorful works for free. The image above is just a part of his large masterpiece at SF's City College. Click here for a full list of where to find the top murals in the city. With San Francisco's mild climate, you will find a fun festival almost every weekend. However, once summer hits, the neighborhood street fairs begin. These street fairs are a tradition here. It's a time for the community to come together and celebrate. Most offer live music, displays from local artists and gourmet food. Some feature beer gardens, live performances and games for the kids. 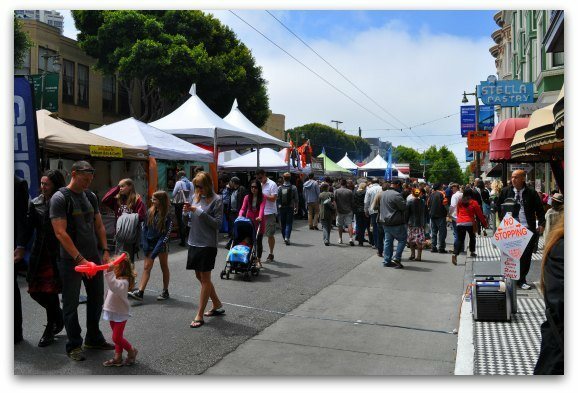 The biggest street fairs are in North Beach, the Marina and the Haight. The Castro district also has a large street fair, but it is later in the year. Click here for details on this year's festivals and street fairs. It's as simple as that, the food here is AMAZING! It's not just the quality, but the variety that you will find throughout the city. 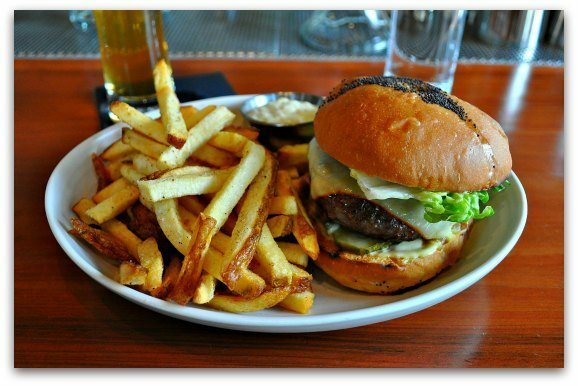 With more than 3,000 restaurants, it is easy to find something you will like. You will find standard cuisines such as Italian, Mexican and American. However, you will also find niche restaurants where you can try something different such as South African, Peruvian and Nepalise. Even though I've created a list of my favorites, I highly recommend experimenting while you are here. Branch out into local districts such as the Mission, Hayes Valley and Potrero Hill to find something fun. Click here for just a few of my recommendations to get you started. How can I not include the most well-known attraction to my list? This gorgeous structure is fun to visit. It is also an important part in SF's history as it official bridged the gap between SF and the rest of Northern California. In recent years, the organization managing the bridge built a small, yet interesting museum on its southern side. This little area really adds to the experience of visiting the bridge. It includes a model that shows how the bridge works, pictures of it being built and other facts and figures about it. Of course, the highlight of the bridge is the walk across. The views are amazing and it is a special experience seeing it up close. The views in and around the SF Bay still make me smile. With its rolling hills and quaint waterfront towns, the coastline of the bay is spectacular. 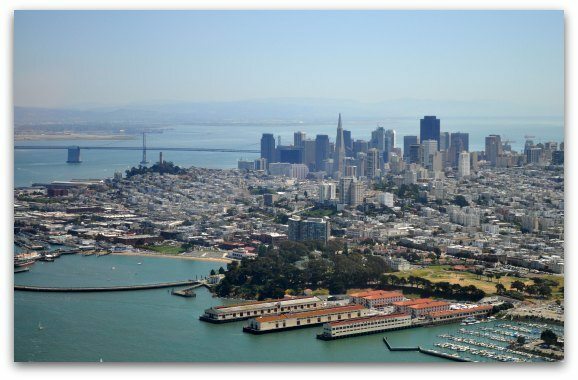 You can also visit two of its largest and most famous islands, Alcatraz and Angel Island. I visit Alcatraz at least once a year. This old federal prison is full of history. It also still houses a few secrets. I learn something new every time I visit. Angel Island is also the perfect get-away from the chaos of the city. During the day, you can take a hike to the peak (Mount Livermore), take a Segway tour or visit its museums to learn about its past. You can also stroll along its border trail for some of the best views of the SF skyline, the Golden Gate Bridge and Alcatraz Island. In addition to seeing the great views from the land, you can also jump aboard one of more than a dozen ferries. The most popular is the 60-minute bay cruise. 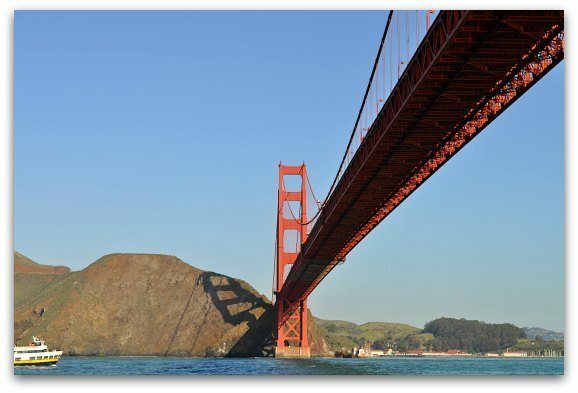 It takes you under the Golden Gate Bridge, past Alcatraz and The Palace of Fine Arts. Other fun cruises are also available such as the weekend morning Champagne cruise, Escape from the Rock and the sunset dinner cruise. Click here for a list of my five favorites. Over the last decade, many of the San Francisco museums have remodeled, added onto their current space or even built entirely new buildings. The California Academy of Sciences, the de Young Museum and the Exploratorium are just three that have undergone major changes. Currently, the SF MOMA is more than doubling their space. Other smaller museums, such as the Mexican Museum, are looking for larger places to display all of their pieces. SF also houses several small, niche museums that focus on just one topic. Some examples include the Cartoon Art Museum, the Museum of the African Diaspora and the Disney Museum. All of these add up to SF being one of the best museum cities in the world. I visit at least one museum a week and continually find something new and interesting. 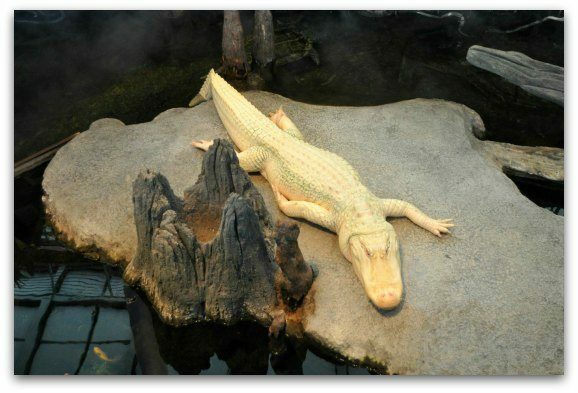 In addition to their regular exhibits, our museums do an amazing job of finding the best traveling exhibits. If you haven't visited our museums lately, I recommend that you give them another try. Click here for an overview of what to expect from each one when you visit. San Francisco is an expensive city. 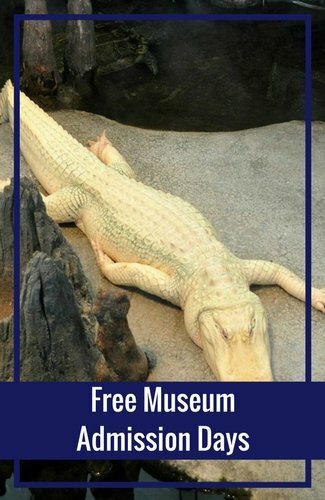 However, you will find dozens of free things to do here every day! Several small museums such as the Cable Car Museum, the Maritime Museum and the Wells Fargo museum offer free admission. You can also visit most of SF's indoor murals for free (see #1). Some of SF's top attractions are also free. It's free to visit and walk across the Golden Gate Bridge. 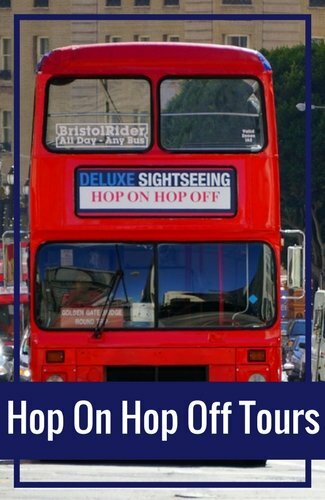 You can see Lombard Street, the most famous crooked street, the Painted Ladies of Alamo Square and City Hall at no charge. One of the best ways to get to know the city is by taking one of the Public Library's Daily Walking Tours. They offer almost a dozen every day and all of them are free (although they do request a small donation at the end to keep their program running). 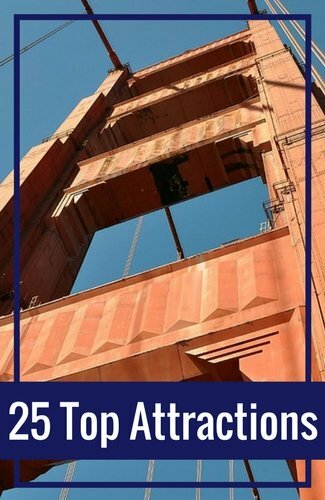 Click here for a list of 50 of my favorite free SF attractions and activities. 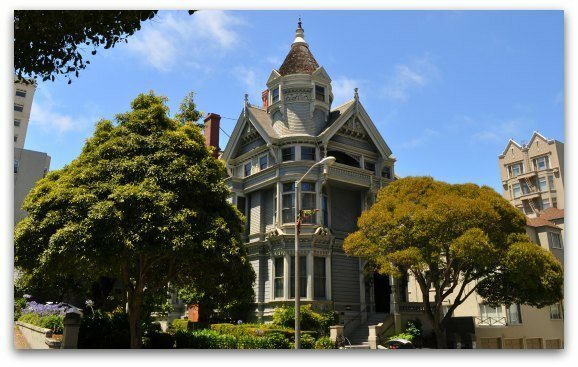 In the late 1800s, many of the wealthy San Franciscans build gorgeous Victorians throughout the city. Many were destroyed during the 1906 Earthquake and Fire. However, the Victorians in a few key SF districts still stand today. 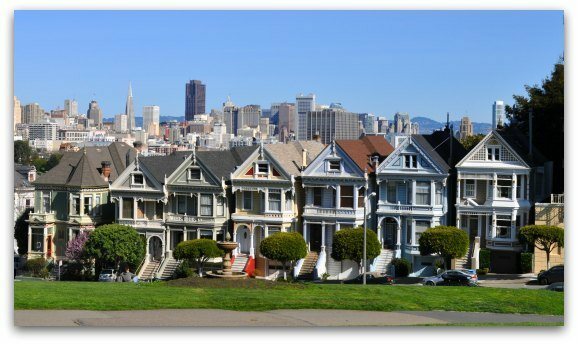 You will find the largest concentration in the Pacific Heights, Alamo Square and Haight Asbury Districts. At the time of the earthquake and fire, all three of these districts were further from the heart of the city, so they were not impacted. I love strolling through all three of these districts admiring the Victorians. Many have been redone and turned back into painted ladies (any Victorian with three or more colors). The most famous painted ladies are those on Steiner Street across from Alamo Square. Click here to learn more about these and to find some of the other amazing painted ladies in this district. If you want to step inside a Victorian, your best option is the Haas Lilienthal house in Pacific Heights. It is open just three days a week. They offer guided tours through the house as well as a look into the history of the design of these homes. Click here for pictures and what to expect during a tour. My love for Golden Gate Park grows every time I visit. This 1,000+ park features some of SF's top attractions as well as some peaceful spots for a break from the busy city streets. It's the new home to the California Academy of Sciences, the de Young Museum and the Japanese Tea Garden. 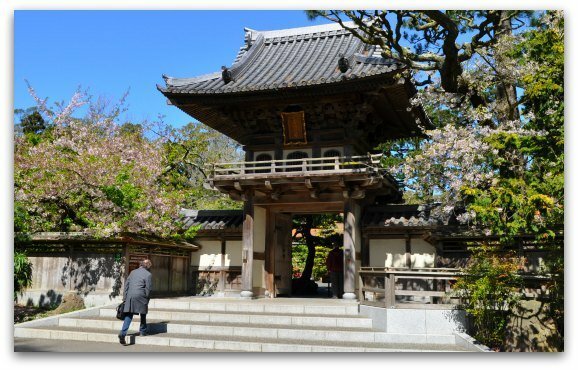 You will also find the colorful Botanical Gardens and the historic Conservatory of Flowers. There are also several hidden gems here such as Stow Lake, where you can do some hiking or take a boat ride, and Shakespeare Gardens, which includes only flowers and plants mentioned in his work. You can also walk through the gorgeous Rose Garden or pay your respects in the AIDS Memorial Grove. You could spend a week here and still not see everything. Do you only have one day? If so, this is how I would go about seeing as much as possible. I love wine and my list would not be complete without including a mention about our proximity to the Northern California wine country. Both Napa Valley and Sonoma County are just over an hour away. You can visit them in one day or spend a few days wandering around. I head up to visit at least once a month and enjoy it every time. No matter what time of year I visit, I find there is something special about it and it always brings a smile to my face. If it's your first time in SF, I recommend just heading up for the day. You can either venture out on your own or head out on a guided tour. I think the guided tours are the best for first timers so you can gaze out the windows during the drive. 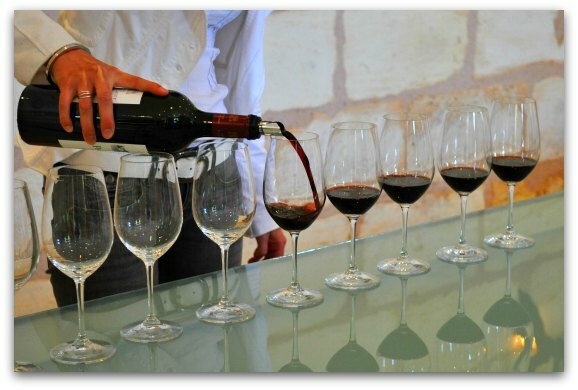 You can also sample as much wine as you want without worrying about driving over a major bridge on your return. Most of the time I go up on my own, however, I've also gone on many of the tours to check them out for all of you. 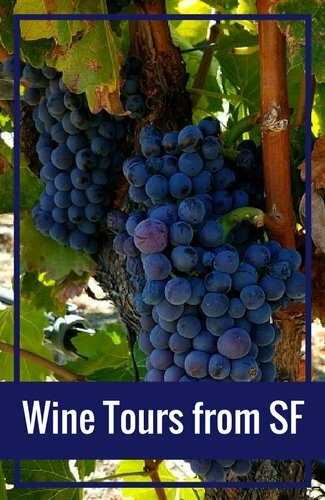 Here is my list of the top wine tours from San Francisco including a comparison chart so you can find the best one for you. Wow, I can't believe I was able to narrow down the list to just 10! 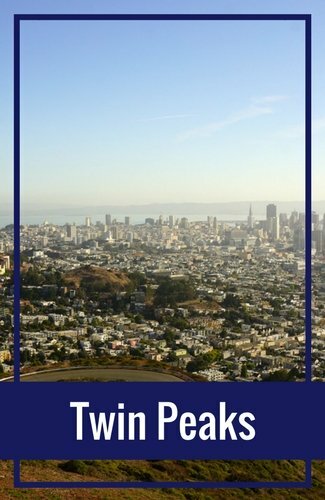 I have so many more things that I love about San Francisco, but I think this is a great list to get you started. One more tip I love sharing is how to save money during your stay. 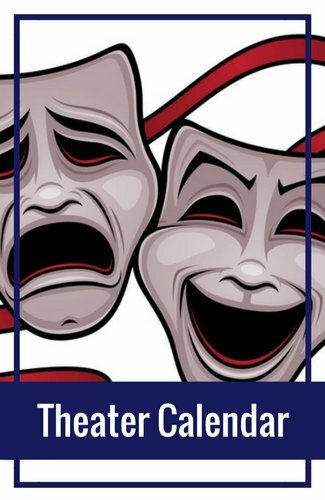 Whether you are on a budget or not, I highly recommend checking out the event and activity tickets available on Goldstar.com. This online retailer offers tickets for up to half-off the full retail value. The thing that always amazes me about them is that their ticket selection is fantastic. They offer tickets to some of SF's top theater productions, tours and annual events. Make sure you check them out first before booking any other tickets in advance. Their selection changes daily, so check back often for updates. Click here for their current selection of tickets.